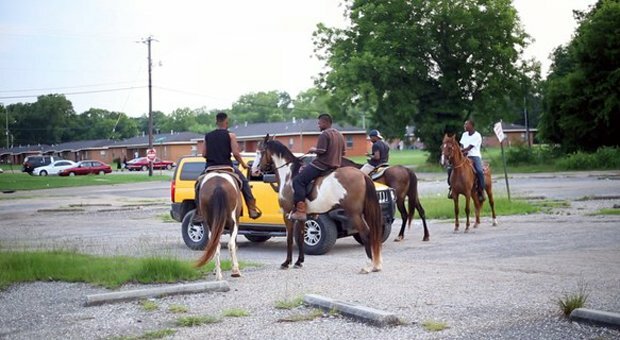 Burrowing deep into the heart and soul of the American south, Hale County This Morning, This Evening is not a documentary in the traditional sense. Instead of talking heads or contextual commentary, filmmaker RaMell Ross instead presents a series of vignettes of everyday life; the viewer is not being asked to observe this Alabama Black Belt community but become totally immersed within it. In condensing five years of footage into a mere 76 minutes, debut filmmaker Ross has achieved the remarkable feat of presenting an overarching view of modern life in the Deep South through an extraordinarily intimate lens. Focusing on young black men Quincy Bryant and Daniel Collins and their families as they go through periods of joy and despair, life and death, the film takes on its own hypnotic rhythm that intensifies the more we come to invest in the people on screen. A large part of this comes from the fact that Ross really knows his subjects; he was inspired to make the film after moving to Hale County to teach basketball. But there's also a great deal of craftsmanship on display here; acting as his own cinematographer and editor, Ross brings a poetic sensibility to his work. While the passage of time is fast – marked out in the growing of children, the changing of seasons – many cuts are pensive and lingering: a toddler charging up and down a hallway, a bee meandering lazily on the ground, a slow drive down streets that will become familiar. The repeating cycles of life are underscored by reflective visuals – the dripping sweat of a basketball player becoming the spots of rain on the ground – and aural echoes, the sounds of one scene bleeding into the next. And, through it all, Ross challenges the viewer with well-placed subtitles which speak to the pronounced racial and class geography of this particular part of the world. 'How do we not frame someone?' he asks. 'What happens when all the cotton is picked?' By posing these difficult questions, and by giving as much focus to the essential peripheries of life as its big events, Hale County has a powerful impact resonating far beyond the lives it depicts. Documentary about black lives in the American South, focusing on two young men, Quincy Bryant and Daniel Collins, and their families. It’s a series of vignettes about everyday life in which the viewer becomes immersed, with well-placed subtitles speaking to the racial and class geography. Subtle, poetic and powerful.